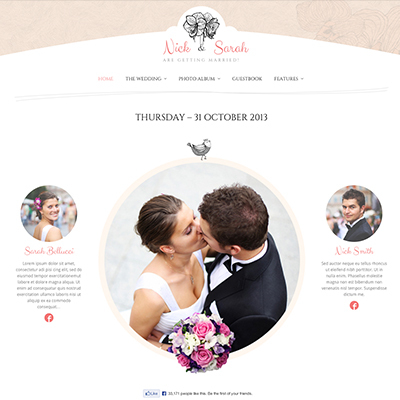 Tracey Dewell Designs can offer you a wedding website from one of the templates we currently have in stock. You can administer changes to the site at your own leisure. 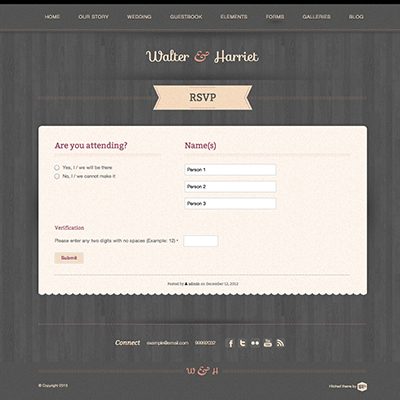 Have the wedding invite, RSVP, Photos and video all online and viewable for your family and wedding guests. This is a great alternative to printed stationery and a much easier option for your family and friends to respond and be part of your big day. All website template colours will be changed to suit your wedding theme, colour, style and typography are easily managed. Social media interactive, Facebook, twitter etc. Other pages such as: Our Story, Information on the Wedding Party etc.